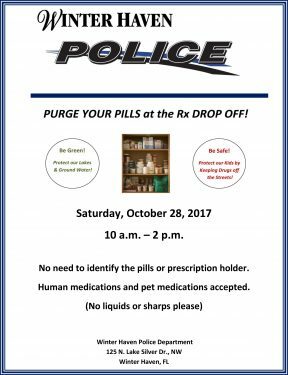 The Winter Haven Police Department will hold a Saturday Prescription Pill Drop Off for anyone who is unable to make it to the Department during the week. The permanent medicine cabinet, located inside of the lobby, is only accessible Monday thru Friday from 8 am – 5 pm. 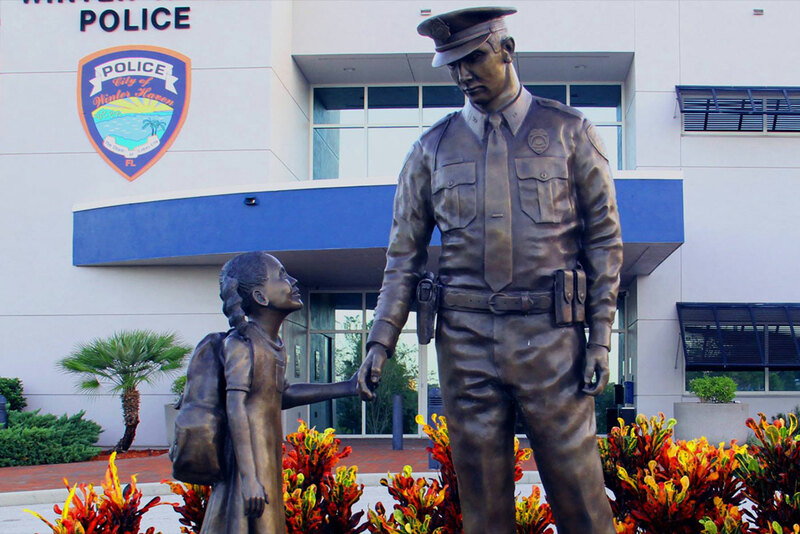 The October 28 Saturday event allows those with tight schedules to drive up and drop off. It doesn’t take any time to safely dispose of those drugs that could fall into the wrong hands. Stop by from 10 a.m. – 2 p.m.